Your Privacy is important to us, learn the privay policy of 360 membership. 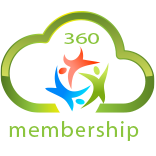 CocoNET is the vendor of the 360 series of SaaS based products, including 360 Membership™ , 360 Course Booking and 360 On-line Appointments, 360 Certificate. We are required to comply with the Australian Privacy Principals of the Privacy Act 1988(Cth). The information collected would generally comprise name, address, postal address, telephone, fax and e-mail contact details. We use your personal information only to allow us to provide the services for which you have contracted. We do not provide any data to any third party and your data does not leave the CocoNET storage silo. The National Privacy Principles provide you with the right to access the personal information that we hold in relation to you. Simply call CocoNET on 1300 247 360 with this request. CocoNET does not use cookie-technology to collect personally identifying information on visitors to our site or those customers subscribing to any of our 360 suite of cloud based products. An electronic customer management and database system is used to store most personal information. This system is accessed only by CocoNET staff and is protected by stringent levels of security.